Asus has this year specifically for gaming peripherals released in the Strix series, which we have received in recent months, a number of video cards in our test lab. We see in this article Claw Optical Gaming Mouse, Pro Gaming Headset and the Tactic Pro gaming keyboard. 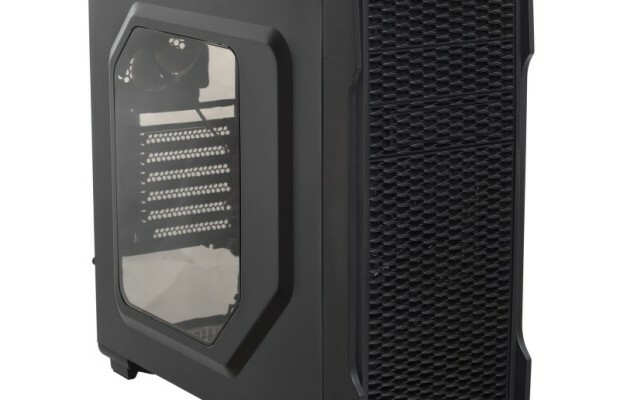 They have to Asus did their best to make this gaming equipment to properly align. All three have the same orange color and shapes reminiscent of an owl. That is not just done a Strix is an owl species. The keyboard is equipped with mechanical Cherry MX Brown switches and additional macro keys to make gaming even easier. All buttons are lit orange and can be adjusted in brightness and can pulsate. Media keys and a volume control not miss. In addition, the Strix TacticProfiles Pro solidly built with a steel plate in the housing. He does not have a wrist rest, but offers NKRO for an infinite keystroke and is equipped with a total of 21 macro keys. 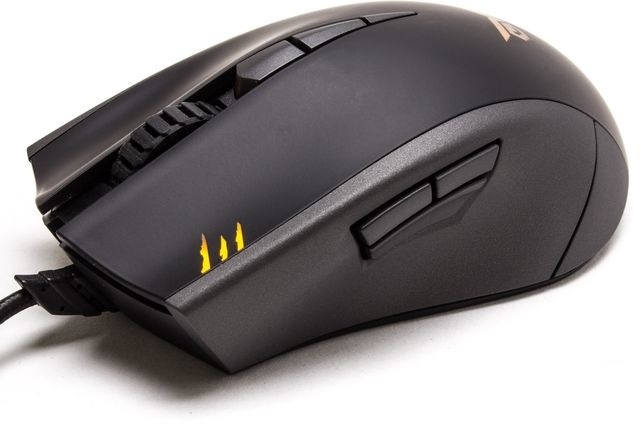 The Strix Claw mouse has a Pixart PMW3310DH-AWQT total 5000 DPI optical sensor and includes a number of additional features. Thus we find a DPI control and leds to the standard mouse buttons located under the browse button a button that provides the gamer with a temporary lower DPI setting. Handy at times when more accuracy is required. 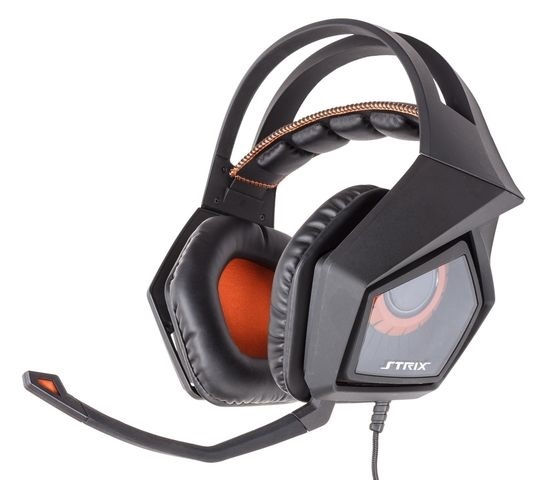 The Strix Pro Gaming Headset has processed the form of owls eyes in the ears and is substantial in size. The headband adjusts automatically when setting up and the drivers have a range of 20-20.000Hz. Furthermore, we find a module that provide cord ENC is that ambient noise is muted for recording the microphone. 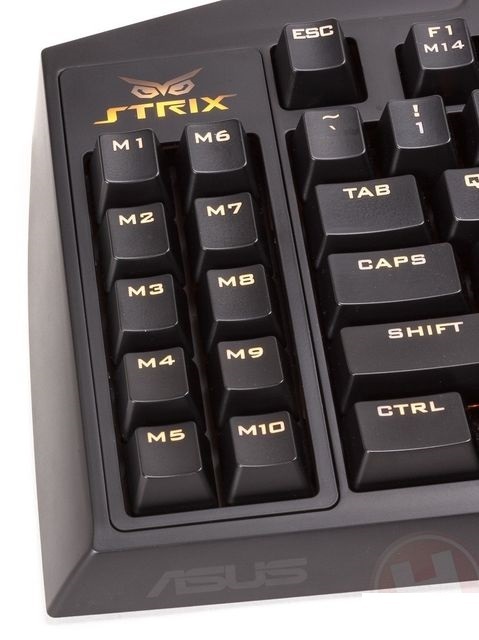 As we often see in the more expensive gaming keyboards, the Strix Tactic Pro equipped with mechanical switches. This Cherry MX Browns are the happy medium for those looking for a mechanical keyboard. They have an attack that is comfortable for most users and give half the attack, on the site of the actuatiepunt, feedback that the attack was registered. 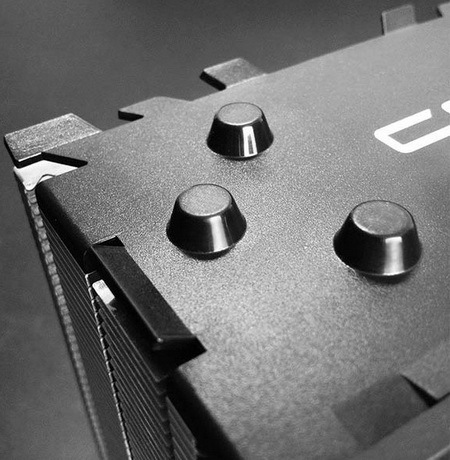 Without including the Cherry MX Blue make extra noise. Furthermore, the keyboard has additional gaming keys and is very solidly built with an iron plate in the housing. The orange lights in the keys is adjustable and the top right of the keyboard we find media keys and a volumescrolwiel to control your media player. Further, it is possible during gaming directly to create a macro for one of the macro keys with the built-in macro-record function. Also, (during gaming) the Windows key are disabled. Furthermore, we find the next ten additional gaming keys on the left side of the keyboard, also below the space bar and under the F1 to F8 keys macro functions. The last keys can be put in macro mode and do not need to be activated separately with a function key. The keyboard has three sections, making the gaming keys still get more functionality. 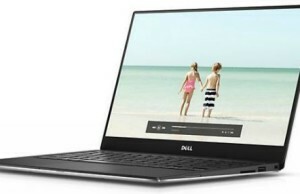 The driver software that comes with the keyboard provides the ability to manage these three built-in profiles. Software-based profiles are also possible and can be linked to programs so that they will automatically be activated on opening of this software. In the software, you only have the option to set additional gaming keys with macros, for example, keystrokes or starting a program. Keyboard and mouse currently have a separate driver, which can not be activated at the same time. So if you want to change something in the settings of the keyboard and allows the driver software of the mouse open, you must first open the driver software from the keyboard. Asus is working on a solution to this problem, but a good version we were not received at this time. Macros can be created in the software and afterwards be modified, including the delay between commands and repetition. A major drawback is that you in the driver software to see which macros are created manually using the Record Macro function on the keyboard itself. This makes it possible to manage this specific macros and chances are that you replace these undesirable easily through the driver software. You should have this will be improved really enjoy this keyboard. 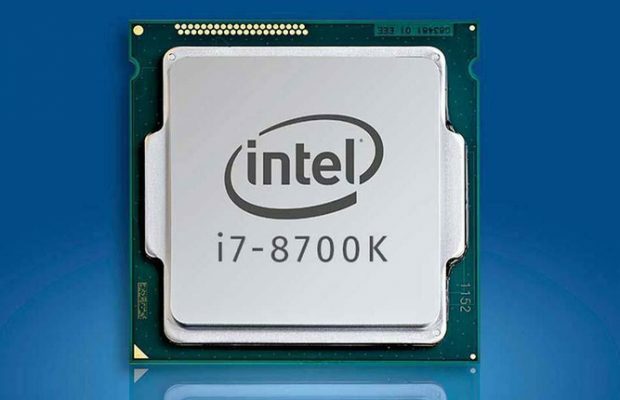 Once we receive an update from Asus which ensures a better link between the keyboard and mouse, and if the macros can be managed in the keyboard, of course, we apply to this review. The bottom of the keyboard are the usual feet waarme the Strix TacticProfiles Pro can be placed in an angular direction the hands. Fine is that in this position the keyboard in the middle does not sag, which is a merit of the steel plate in the housing. The keycaps are made of transparent ABS plastic, which are provided with a black coating around the symbols, so the buttons are illuminated. A disadvantage is that use is made of a LED at the top of the keys, so that only a part of the print is illuminated brightly. That the letter keys is no problem, but offers at keys with a ‘double’ imprint not look nice. This is also the case with all keyboards that feature lighted Cherry MX switches. In the box we find are five extra keycaps with orange color to replace the WASD keys. The stabilizers are used under the long keys of the Costar brand. The attack of the keys is everywhere proportional nice, though the space bar of the attack just a few grams lighter than the other keys. The keyboard features NKRO, making it possible to store all the keys at once, so you will find no limitations in commands that you can give while gaming. All in all this is a pretty solid keyboard that is comfortable to use. However, the main defect lies in the driver software that is unusable at this time. 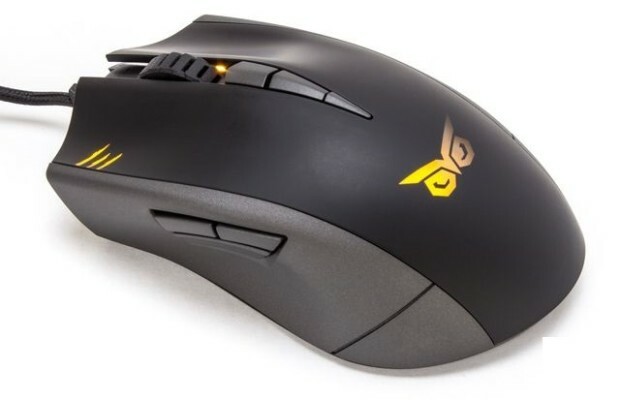 The Strix Claw mouse is styled in black with gray tones and equipped with lights in the Strix logo on top of the mouse and the scroll wheel around. An additional button is below the browse button to temporarily reduce the sensitivity of the mouse. When the scroll wheel two buttons are provided to adjust the sensitivity of the mouse in four steps. For this, three LEDs are present in the left-hand mouse button. These are in the form of a print of a pull of a claw, which coincides well with the name of this mouse. The cable is like the keyboard and headset envelops with a fabric shell, for increased durability and luxurious look. For extra grip located on the side inlets for low-sense gamers. On the right are those separately available for both the finger and ring finger. Underneath the Strix Claw sensor Pixart centered positioned for minimal deviations when lifting the mouse. We measured also a good lift-off of 1.2 mm, so that this mouse in combination with the excellent grip is excellent for low-sense gamers. However, we had problems with the tracking on our Qpad Heaton mouse pad made of hard plastic, which we use for each mouse to come along in our test lab. Also provided the calibration option in the driver software herein not help. With the also available substances mousepads Strix, this mouse works perfectly, however. This does not mean that other hard mousepads not work with this mouse, but that he we pickier than most mice have tested so far. The scroll wheel is covered with rubber and has notches, so this provides a nice grip and decent in use. The driver software provides the ability to individually turn off the lighting of the logo and the scroll wheel. 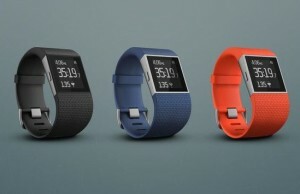 In addition, it is possible to set the four available DPI steps between 100 an 5000 DPI. The sensor can be calibrated to the surface of your desk or mouse pad, and there are profiles available for Strix mousepads that Asus has in its range. 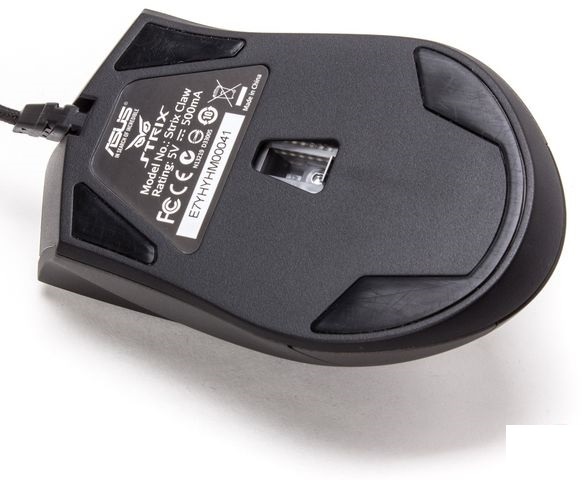 The polling rate of the mouse is adjustable in steps 125-500-1000Hz. Unfortunately, works just like the keyboard macro functionality not good. All macros can not be created on the mouse itself, it is after a new installation of the driver software is not possible to see which settings have already been made in the mouse. This also applies to variations of the buttons and the like. 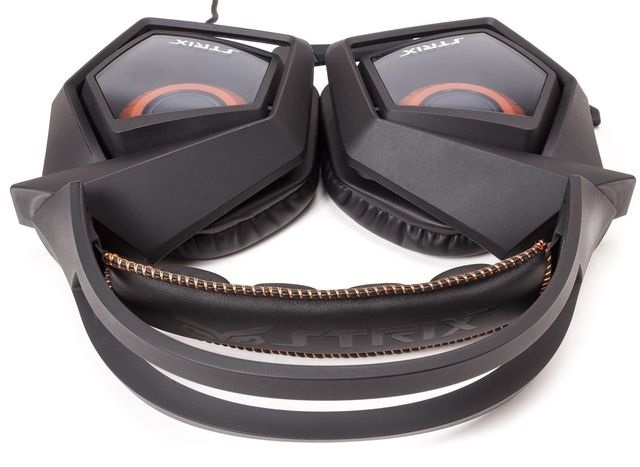 The Strix Pro gaming headset does of the three products in this review the name Strix most proud. The ear cups can be rotated flat so that they can both rest flat on the table. This two pop orange owls eyes you look penetrating. This is a nice detail of this headset, which gives him a unique character and clearly apart from other headsets that are for sale. The format of the ear cups and headband is robust, making it wears inelegant and therefore is not really suitable to wear in public. This format, however, has a good reason: the ear cups feature 60mm drivers, which are much larger than those of most headsets that we welcome in our test lab. Remarkably, the impedance or has remained low with 32 ohms. The range is between 20 and 20,000 Hz. 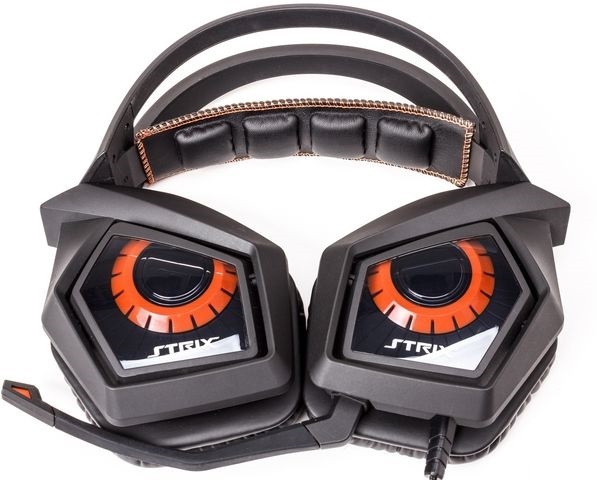 This headset is a more detailed version available with its own sound card, which is connected to USB and includes surround sound. The Strix Pro connects analog, but also features a USB connector that feeds the ENC module in the cabinet in the cord. This ambient noise is muted, so the recording microphone is as clear as possible and only the speaker’s voice is heard. With a switch on the bottom is to disable this feature. ENC is thus not used to allow ambient sound off when wearing the headset. At this table we also find a large volume control that very smooth running and a mute button for the microphone. The cable from the computer that opens this module is very thick and therefore rigid. This is obviously very solid, but still clings also a disadvantage. Because stress remains on the cable and it therefore easy running, it frequently happens that the cabinet from tipping over. This is unfortunately not prevented by the slightly sticky rubber bottom. The headset is connected to the analog module to the cable via a special connector with five poles that does not work with other products. For mobile use there are two adapters available with 4 poles for older devices and modern smartphones. Unfortunately, the headset does not connect analogous to a stereo plug, separate headphone and microphone, what we would have liked. The microphone is detachable and flexible to make it to the mouth. This takes no noise and sounds clear, but there is sometimes added a light hissende overtone. This is obviously disruptive. The ENC function in a proper way and works sudden loud noises around nice way. The headset’s display is nicely balanced and corresponds to our reference copy, the Thrustmaster Y250-C. This allows the Strix Pro is versatile, but a thunderous bass does not produce the device. Before that, there are other headsets available that have more bass, but less detail in the midrange. The comfort is fairly good, but not because the earpads are soft enough, this headset is clearly noticeable. The adjustability of the headset also is limited, because the automatic adjuster already sliding quickly into the largest stand. We also have our doubts about the maximum size of the adjustment, making this headset may not be ideal for a large distance between skull and ears. The gaming peripherals Asus Strix series we received with mixed feelings. The products are sturdy and solidly built and also about the exterior design, we are very pleased, if we find the headset although nice, but a little too big for our taste. The performance is also perfectly fine for all products, all our findings with the comfort and the module in the cable of the headset is not one hundred percent positive. The software needs to be significantly improved you will really enjoy using your keyboard and mouse. You can not easily switch between the two products in the software and macros and other settings stored in the products, can not be read by the software. Loose macros created using the keyboard can therefore also not be managed in the software. Only if this improves surface, we can recommend the Strix gaming products from Asus really. Make you do not use software, then both the keyboard and the mouse an excellent choice. The headset is not enough for us comfort for the price of one hundred euro, but does have a nice sound. The mouse and keyboard cost averaging respectively 73 and 130 euros. If the software problems can be solved is the Strix Tactic Pro keyboard in terms of both functionality and build quality a good counterpart to the Logitech G710 + keypad. Asus has given us to work hard to create a better working version of the driver software. When that time comes, we’ll handle that in this review.